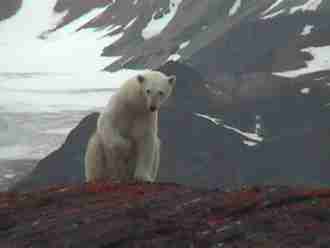 In 2008, the USA listed the polar bear as a threatened (menacé) species. Sea ice melts in the arctic from global warming. Polar bears that depend on ice flows are prevented from roaming (errer), hunting prey, and building dens (tanière). It is the most endangered species in the world and the situation has worsened (empire). 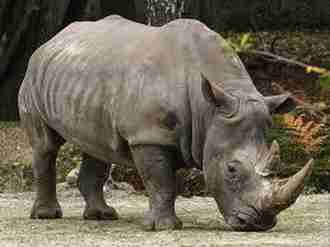 The rhino is still killed by poachersfor its horn which is coveted by Chinese people for its therapeutic and hypothetical aphrodisiac properties. This remnant population continues to suffer from climate change that has an impact on krill (a type of tiny shrimp), whales’ favourite feed. In addition, they often become entangled, or ensnared in fishing gear and mortally wounded. Despite their current protection, they are much coveted in China for their carapaces which are transformed into a wide range of items and jewelleries. Chinese people have even opened a market for tortoise shells. 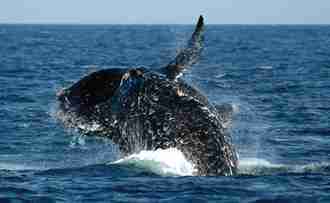 In addition, like the whales, they die ensnared in fishing nets. 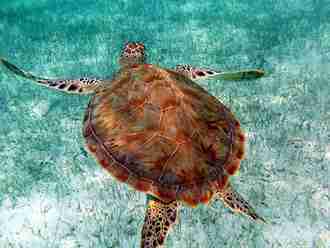 Most of the time fishermen get rid of the dying turtles over board. It is true that they are powerful creatures. They are also gentle and affectionate. 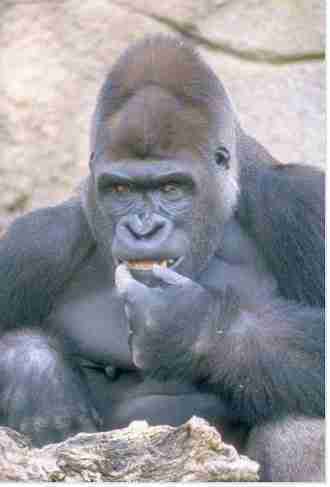 Mountain gorillas are easygoing vegetarians who lead a peaceful life. Scientists estimate that there are about 600 individuals in east-central Africa. They are endangered from habitat loss and poaching. Today, they face a new threat, the aftermathof a civil war in Rwanda in the early 1990s, creating refugee camps with 750,000 people, living on the borders of the gorillas' reserves. The increase in human population has reduced much of their natural rainforests which is clear cut and turned into croplands . Cheetahs are facing a high risk of extinction. It is the world’s fastest land animal. It can run 70 kilometres per hour but is well known as a clumsy fighter compared to other predators. Nowadays, the cheetah population has halved in ten years. 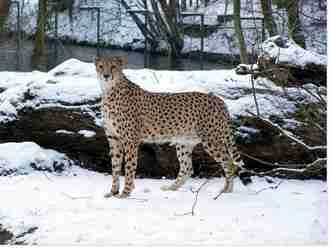 Loss of habitat, lack of vast territories and loss of genetic variations are the main threats facing the cheetahs. They are less than three months old when hunters slaughter them. It is the most cruel and horrible slaughter in the world, on the threshold of unbearable. Sealers smash baby seals’ skulls with a heavy bludgeon before skinning them, leaving their bloody corpses on the sea ice. 1. Shrinking sea ice prevents the polar bear from almost unbearable coveted entangled get rid of halved roaming skinned slaughtered thwarted I don't know its icy kingdom. 2. In China, horns are almost unbearable coveted entangled get rid of halved roaming skinned slaughtered thwarted I don't know frenetically to be turned into Asian medications and aphrodisiac powder. 3. Rescue efforts are almost unbearable coveted entangled get rid of halved roaming skinned slaughtered thwarted I don't know by poachers who get into protected reserves illegally. 4. Turtles and whales are often almost unbearable coveted entangled get rid of halved roaming skinned slaughtered thwarted I don't know in fishing gear and suffocate to death. 5. When fishermen discover turtles in their nets, they almost unbearable coveted entangled get rid of halved roaming skinned slaughtered thwarted I don't know them by throwing them over board. 6. Cheetahs confronted with loss habitat and genetic variation has almost unbearable coveted entangled get rid of halved roaming skinned slaughtered thwarted I don't know its population. 7. Baby seals are almost unbearable coveted entangled get rid of halved roaming skinned slaughtered thwarted I don't know by hunters with a heavy bludgeon. 8. This slaughter is almost unbearable coveted entangled get rid of halved roaming skinned slaughtered thwarted I don't know . 9. 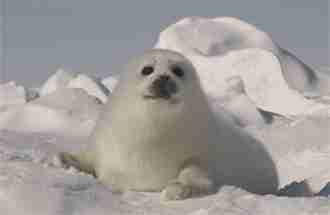 The cute baby seal is slaughtered and almost unbearable coveted entangled get rid of halved roaming skinned slaughtered thwarted I don't know by hunters to get possession of its fur.